Greetings and welcome to the blog, it's Rhonda here today to share a project. This project was created using pieces from our November Club Q kit and some silly fun pictures that are not exactly "flattering"… but definitely silly and fun. The papers in the kit are from our new Antique Garden collection. To start, I used one of the wave die cut papers from the kit, then cut the stripes from the Antique Garden 400 paper, rounded the tops and layered them to create a vertical design. This helped break up the floral design and added the perfect amount of balance to the page. I added the "Life is a Joy Ride" cutout from the Calypso 500 paper. 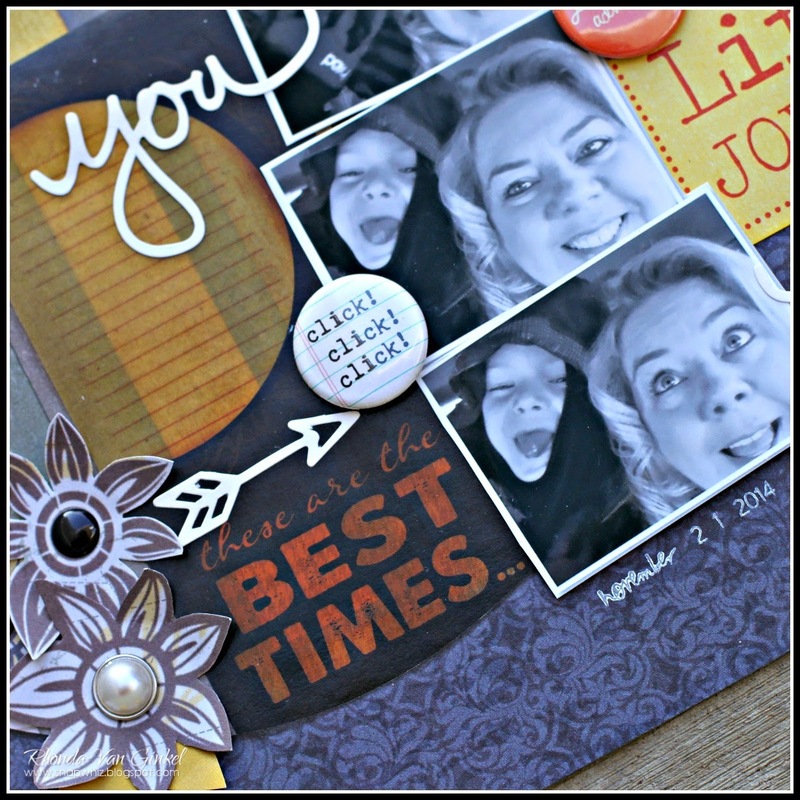 The "These are the best of times" color vellum quote is included in the kit. The flowers in the lower left are cut from the Antique Garden 200 paper. The pearl brad is included in the kit. I stamped the date of the photo using our Coconut White PowderPuff Chalk Ink. 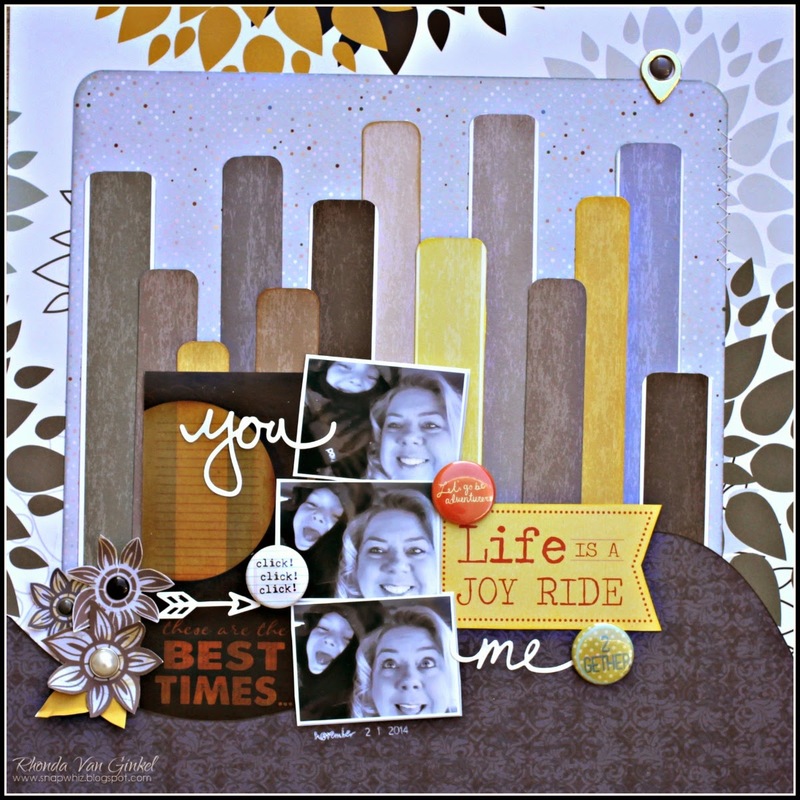 I love the contrast and how nicely it works for stamping! A few extra little touches of flair and enamel dots brought the page together.